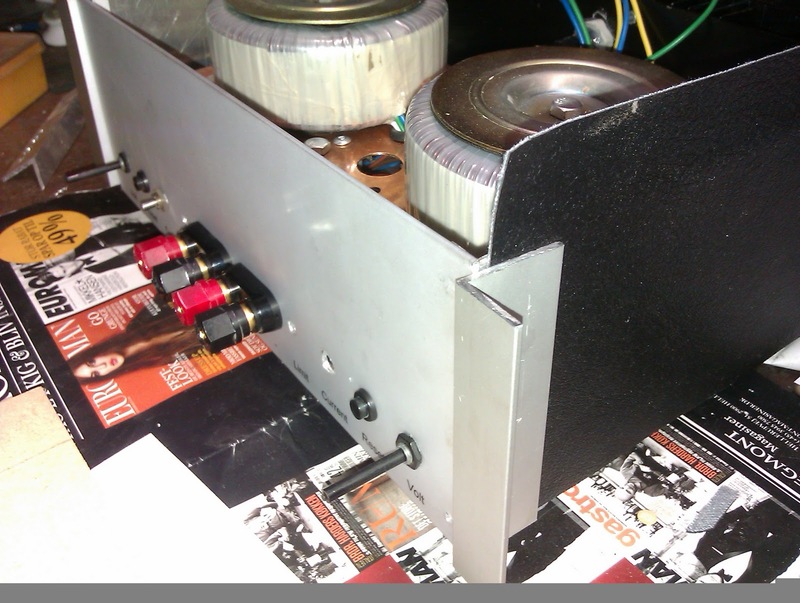 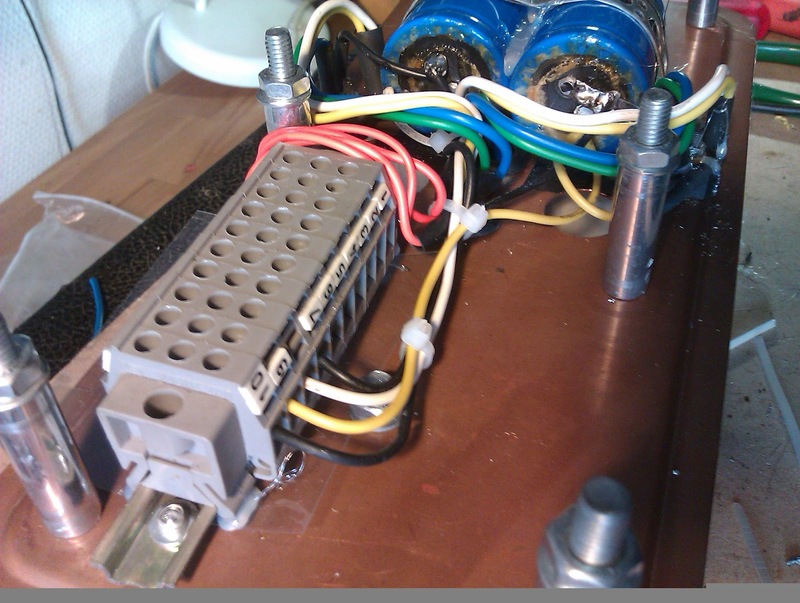 This lm338-v.1 power supply will be able to give something like two times 12- 36 volt and 2x5 amps (10 amps in the v.2 of this PSU witch includes transistors to get more current from the circuit). 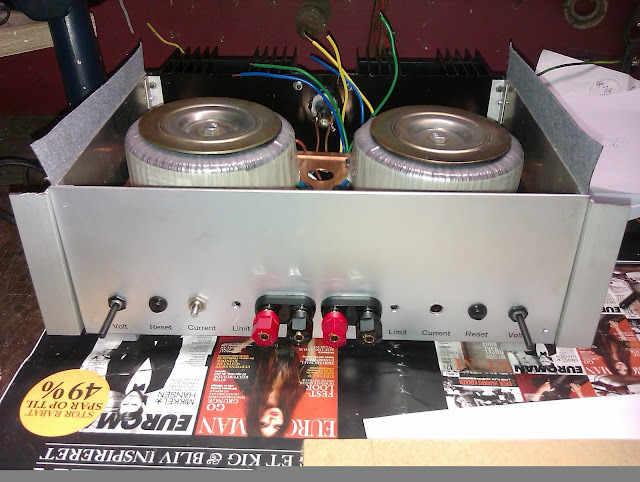 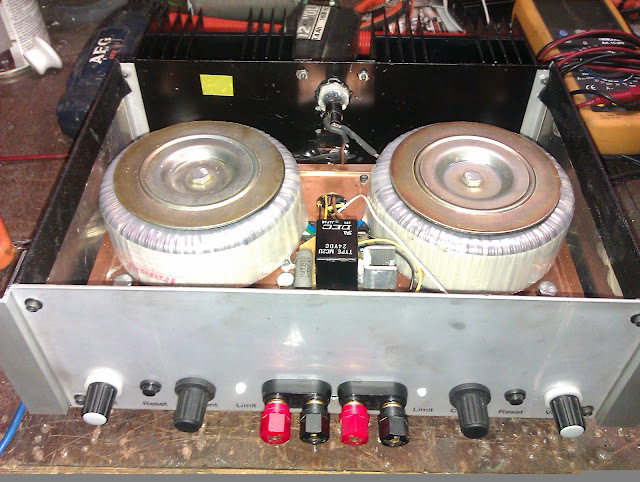 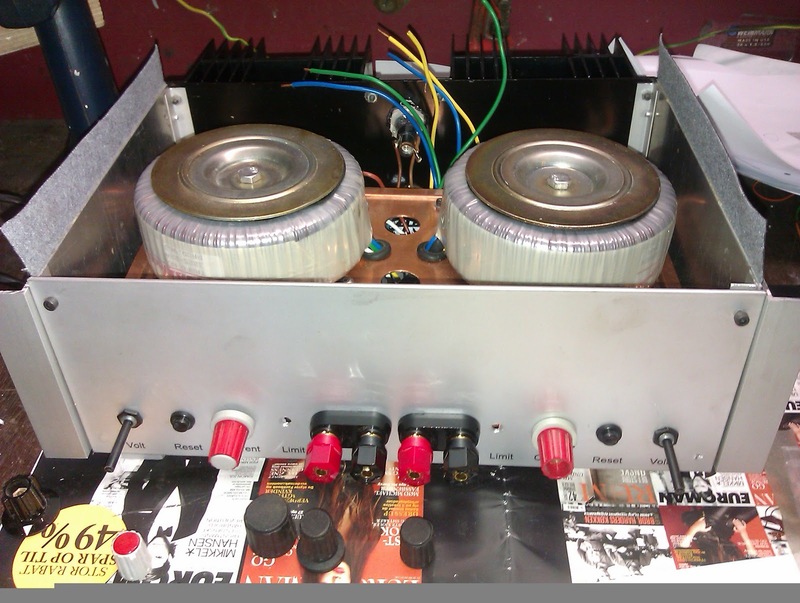 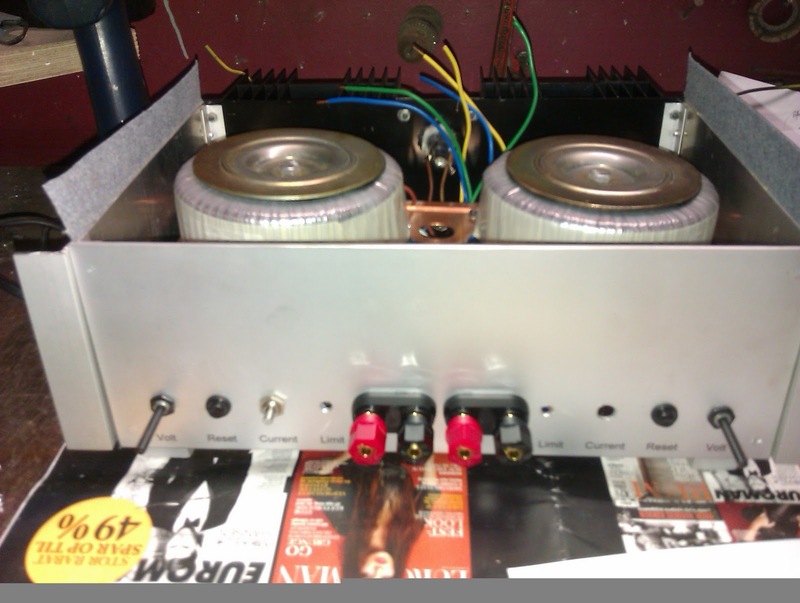 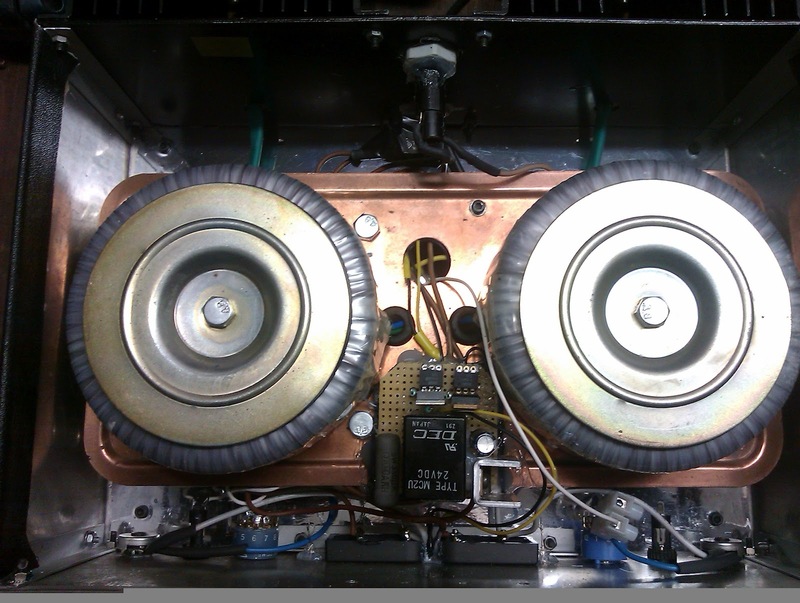 The trafos used are already able to deliver 2x 10 amps continua and 12 amps peak or so.. 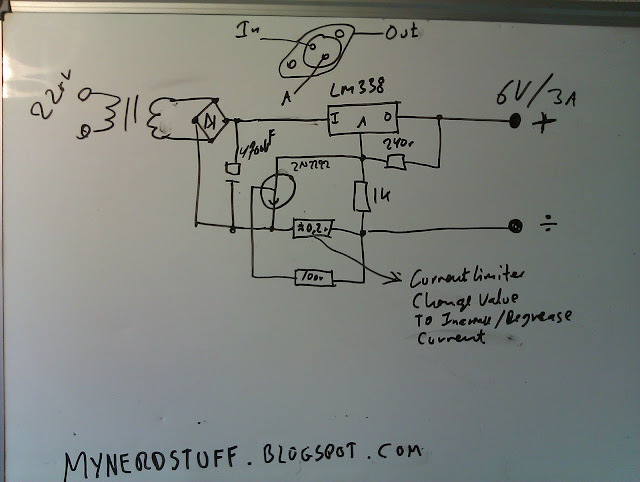 I use 2 x lm338 in V.1 but also lm317 can be used. 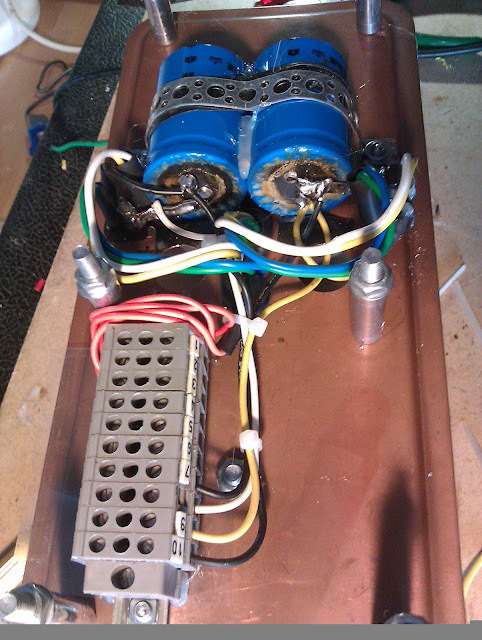 I will use extra transistors to get the current up i V.2. Schematic will be equipped with current limit adjustable in steps, a current limiter with LED indicator, and i will try to find some way to make a reset able relay, than automatically disable output when short circuit or to high current drawn, Also i have some temperature sensible switches so power supply will shutdown at to high temperature on the cooling plates. Basic DRAFT schematic from a test i made earlier. 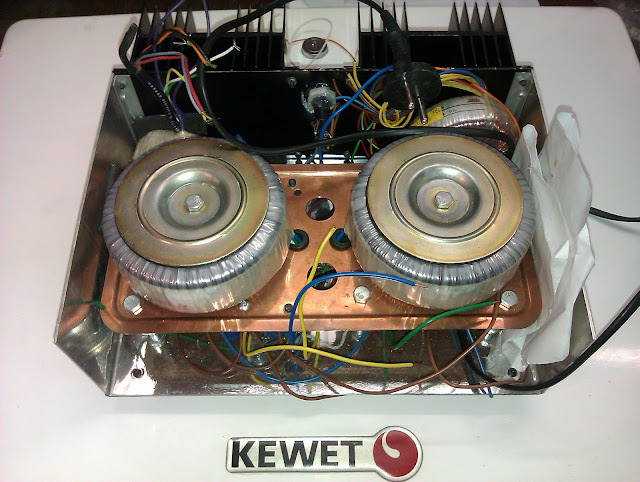 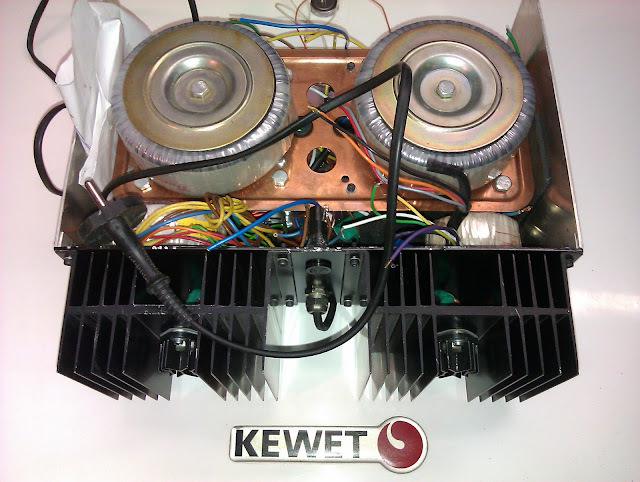 The cabinet with trafo'es, placed on my kewet electric vehicle bonnet. I do think this is a easy way to make functional test equipment. 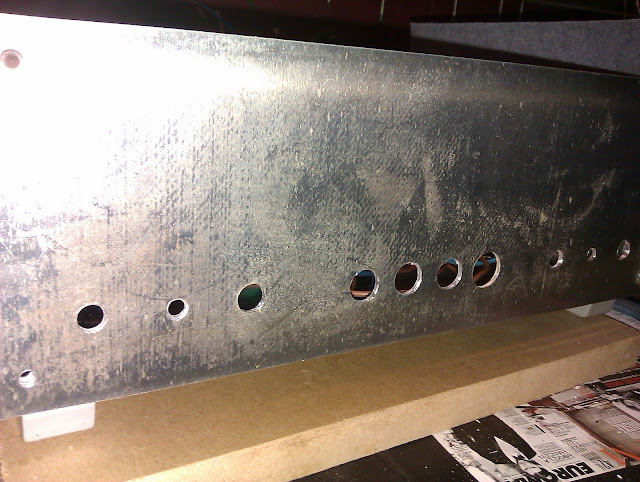 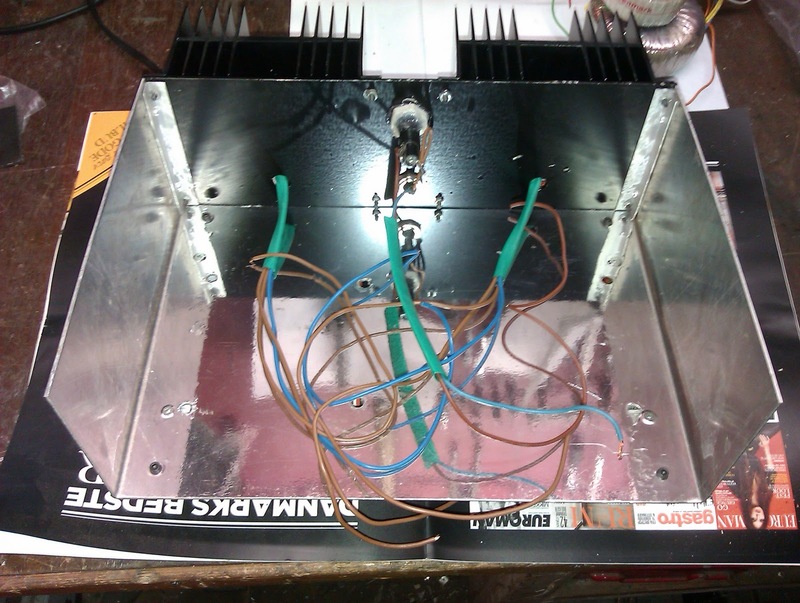 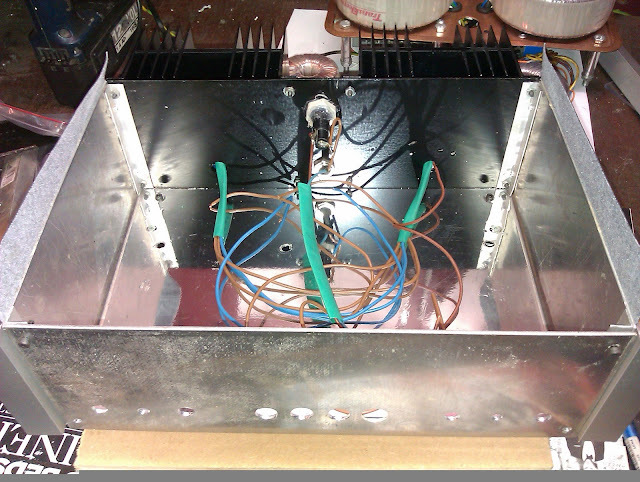 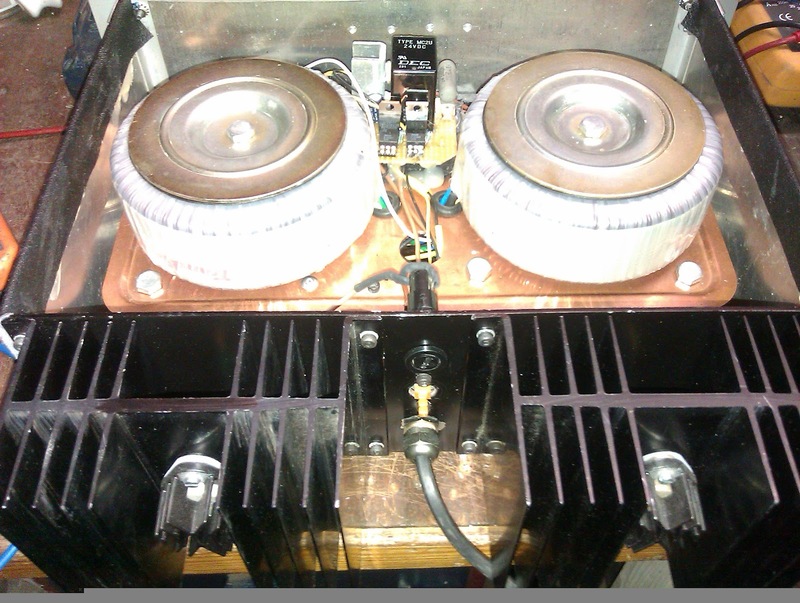 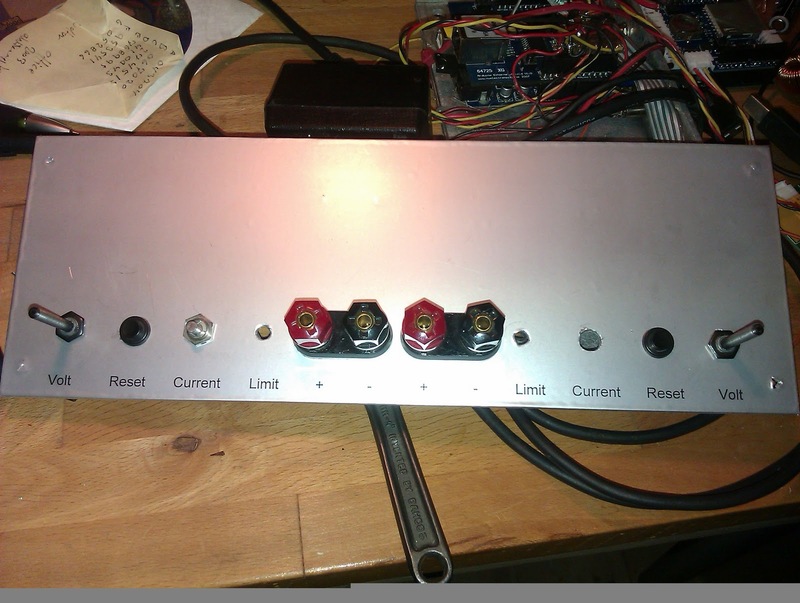 I will place 4 x led panel meters for voltage and amperes. 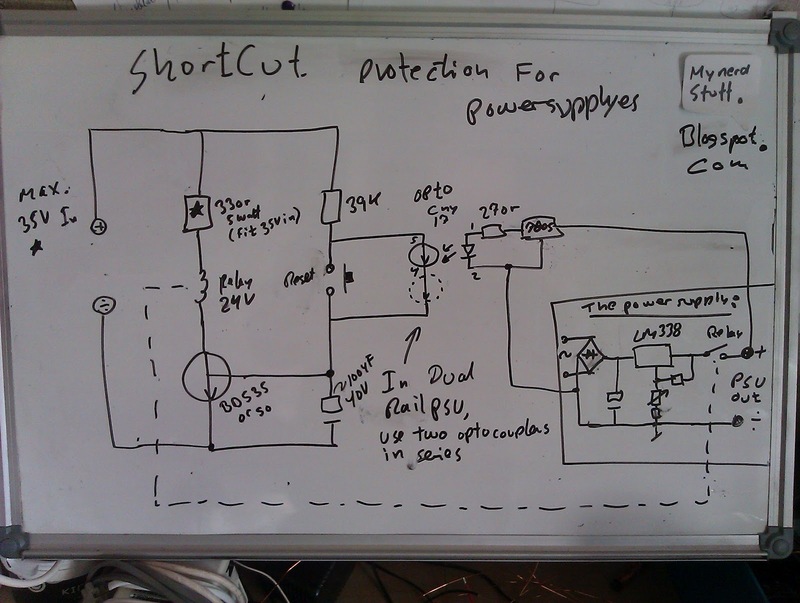 Shorcut protection circuit with relay in front between trafoes. Inductance Meter based on 555.